By now, you’ve most certainly gotten a head start sipping the Official Drink of Summer™, but picking a great rosé is more than just grabbing the nearest pink bottle off the shelf. Fortunately, our favorite wine shops around the city were happy to share the affordable blush-hued varietals they love. Happy summering. Portugal makes some of the best bang-for-your-buck varietals, and this top-selling favorite—which includes hints of berries, elderflower and melon—is no exception. This dry Spätburgunder—Germany’s Pinot Noir, if you will—tastes even better with a bit of age, which emphasizes its savory undertones. 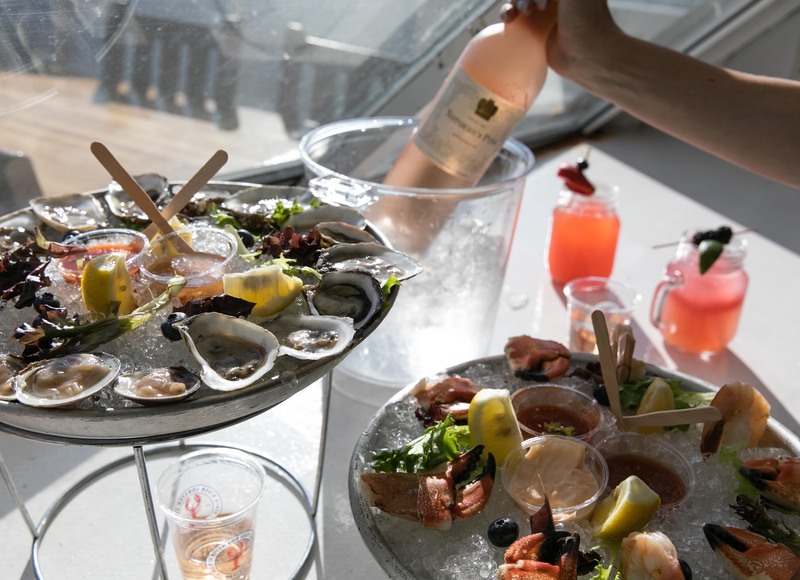 If you needed another reason to try this rosé, which pairs perfectly with summer appetizers, its winemaker Jane Ferrari is an award-winning Australian vintner. That’s not a typo, people: At this price, you might as well pick up two (or three) bottles of this organic rosé—fermented with the bold Mourvèdre grape at a tiny winery in the south of France—for your next picnic. Even if you’re not headed to Saint-Tropez this summer, you can still drink as the French do with this expressive rosé from a 1,000-year-old vineyard (yes, really). This citrusy rosé from Santa Barbara County features tastes of watermelon, strawberry, pomegranate and blood orange—so basically, your daily fruit servings are covered. Serve this fresh and fruity rosé, which is made entirely of Nebbiolo grapes in the Piedmont region in Italy, as an aperitif or with light summer dishes…or by itself while you Netflix and rosé.